In October 2012, the initiation of the Shanghai Association for Rare Earth. 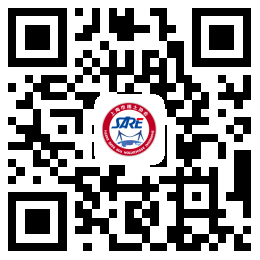 In May 2013, the establishment of Shanghai Association for Rare Earth. In October 2013, set up three professional committees of rare earth permanent magnet, luminescence and catalysis. In December 2014, the association WeChat public platform is officially launched. In April 2015, the association participated in the first China international rare earth achievement exhibition and won the excellent organization award. In April 2016, Association board of supervisors set up, rare earth photoelectric materials professional committee set up. In May 2016, the 13th five-year plan of Shanghai rare earth industry prepared by the association was accepted and released. In October 2016, the association was honored with 4A social organization. In March 2017, the association obtained the first patent authorization. In May 2017, the association was successfully reappointed and the second council was established. In May 2017, the association publishes rare earth special issue. In October 2017,standardization technical committee of association is established. In December 2017, the association won the award of excellent organization for the best innovative case activity of the municipal federation of industry and economics. In June 2018, the first "Shanghai Rare Earth Cup" sports meeting of the association was launched.